Once Chuck and I decided to move to Hawaii, we scheduled a “scouting trip” which took us to Kona on the Big Island and to Maui. Most of that trip was spent driving to see houses listed for sale or rent, and getting a feel for the costs, the areas, and neighborhoods. In Kona, we saw a sign for an Open House being held that day, so we followed the signs and checked out the property. The house was amazing and way out of our budget, however, it was then that we met a great real estate agent, Chiaki Yamada. We met a few other real estate agents on that trip as well, who filled us in on schools, weather, and other considerations. After scouring the internet, we saw that most rental houses online were found on Craigslist so I set up a few searches in my Google Reader to keep track of the listings. Chuck did the same and this gave us a lot of information about the inventory and costs. 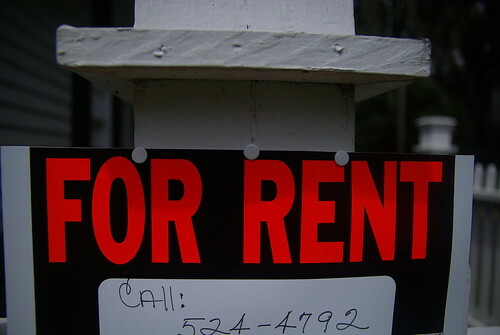 We also found a number of other websites that listed rentals and checked these every few days. In addition, there were the local paper’s classified ads we used to learn about the market. The research turned out to be helpful because when we got here, we had a pretty good idea of what to expect in terms of availability and rental prices. We kept in contact with Chiaki and other real estate agents and emailed them once we knew our arrival date and gave them our house wishlist. When we got here, there wasn’t much in our price range, and we also knew that waiting wouldn’t necessarily get us more options so we had to pick from what was available or risk waiting weeks before another option presented itself. We drove by and/or looked at every interesting property we found on the various websites. However, the 2 best options weren’t rentals at all but houses listed for sale. Chiaki had one property listed for sale but told the owners about us and they agreed to rent us the house for a year if we wanted. Chiaki also talked to another agent about us and had another house to show us that was also for sale but the owners would rent it to us if we wanted. These 2 houses became our best contenders and we ended up renting one of them. So even with all the online listings, it came down to good old-fashioned networking and knowing someone. Of course the research was well worth it as we had the information to make the best decision possible, so I would highly recommend doing the same thing if you’re looking to rent. Next post: Here we go! Previous post: The Kids Are All Right?? ?